Have you ever wondered how the riders of the Spanish Riding School of Vienna can have the perfect seat that made them so famous in the world? Obviously, there may be different answers: it is because they work hard and train consistently; it is because each of them is subjected to a long apprenticeship on the longe and without stirrups; and then, it is notorious, as Austrians have an inclination for precision and discipline. These are all answers that have a foundation, but basically are only part of the complete explanation. Primarily, to understand the supreme elegance of these riders, who have such an harmonious relationship with their horses, you have to consider that behind them there are four hundred and fifty years of history. 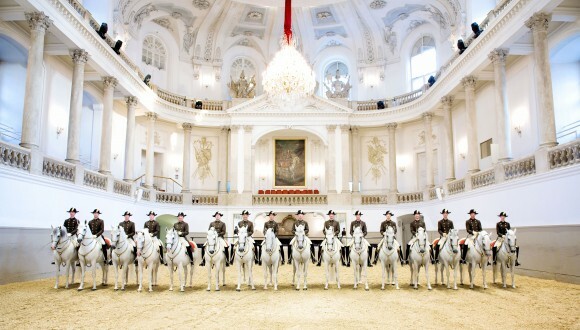 A unique heritage that makes the Spanish Riding School a cornerstone of Austrian cultural identity and a point of reference for all those who love horsemanship. But then someone will probably say: history by itself does not keep you in the saddle. It is true. However, in this case history is not a mere accumulation of dates and names faded by time, but it is a cultural and technical heritage that comes from four and a half centuries of searching for the perfect harmony between horse and man. It is a wealth of experience that is handed down from generation to generation, with patience and pride. So it is true: history does not keep you in the saddle, but knowledge does. 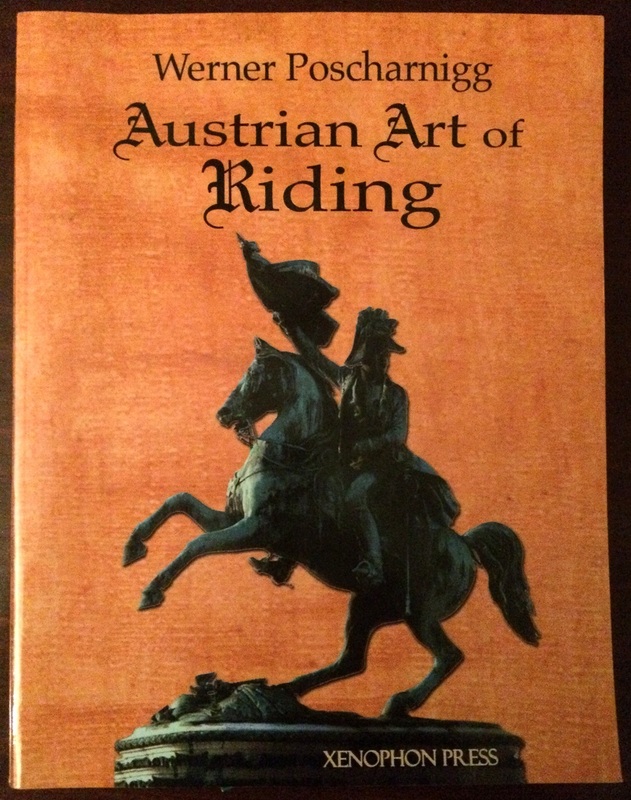 So far, however, despite the importance of the Austro-Hungarian equestrian tradition which is recognized by all, the broader public knows very little about the history of the art of horseback riding in Austria. Now, finally, a book by Werner Poscharnigg fills this gap and tells us in a very clear and enjoyable, but also documented, style about the evolution of horsemanship in Austria, from the beginning of the sixteenth century until after World War II. It is really a beautiful book, which was first published in Austria, with the title Meilensteine österreichischer Reitkunst: Eine europäische Kulturgeschichte (2013), and now is available in a richly illustrated edition in English, with the title Austrian Art of Riding (Xenophon Press, 2015, pp. 222, $ 39.95). First of all, Poscharnigg underlines that the modern Austrian equestrian tradition begins under a double influence: the Spanish and the Italian. The first was primarily due to the dynastic ties between the house of Habsburg and Spain. The Emperor Maximilian I (1459-1519), in fact, organized the marriage of his son, Philip the Handsome (1578-1506), with the daughter of Ferdinand II of Aragon and Isabella I of Castile, Joanna the Mad (1479-1555), creating a family bond meant to last into the following generations. At the time, Spain had already a well-established equestrian tradition and the horses bred on the Iberian Peninsula were the most valued in the courts of Europe. The supply of Andalusian blood in the Lipizzaner is well known and evident. As for Italy, it is well known that during the Renaissance, the Italian culture exercised a very important role not only in the fields of literature and art, but also of horsemanship. 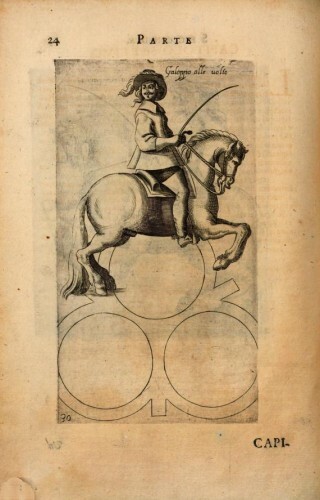 In the sixteenth century, the first equestrian treatises were printed in Italy and riding schools and equestrian academies were established, as well as that the majority of the horsemen who were active in the courts of Europe were Italians. And the first book about horseback riding printed in Vienna was by an Italian author, who wrote in Italian and not in German. 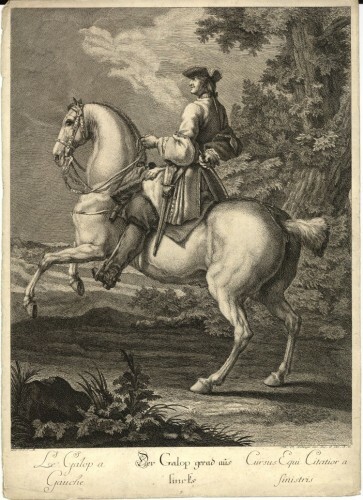 He was Giovan Battista Galiberto, author of Il cavallo da maneggio (The school horse, 1650). His work is certainly interesting. Poscharnigg analyzes it in detail, highlighting some very significant parts of it, such as the description of an exercise, named “cantone, o angolo” (i.e. corner), which was very similar to the “shoulder-in” described by La Guérinière a century later. Following this period, Austrian horsemanship developed independently and had the Imperial Riding School, which we know today as the Spanish School, as its primary foundation. 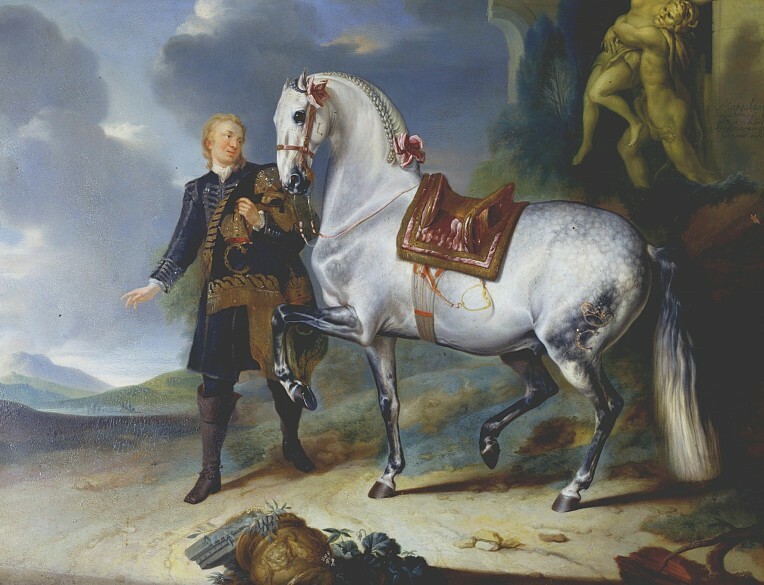 Poscharnigg underlines that in the Austrian equestrian tradition, the oral transmission of the equestrian knowledge prevails over the written. This undoubtedly makes the work of historians more difficult and has led to several misunderstandings and to the emergence of some clichés. For example, that the doctrine of the Spanish Riding School is essentially based on the teachings of La Guérinière. In fact, Poscharnigg shows that the main features of Austrian horsemanship (the extreme attention to the perfection of the seat, the accuracy of the aids, the kindness of the training) were already contained in the “compendium” in which Johann Christoph von Regenthal summed up his primary directives for the Imperial Riding School, where he was Chief Rider from 1709 to 1730. Regenthal was considered one of the greatest riders and horse trainers of his time, but his text was never printed and has been handed down to us only in a manuscript. After being neglected for almost three centuries, this work of great historical and technical interest was rediscovered and finally published in 1996 (and I really hope that it will be translated and published also in English soon). Poscharnigg’s book has the merit to provide us a very interesting, reasoned summary of this work, as well as of the other books written by the most important Austrian horsemen. The evolution of warfare produced important changes in the equestrian field even in Austria, but the strong academic matrix of the Habsburg tradition continued to influence the imperial cavalry for a long time. 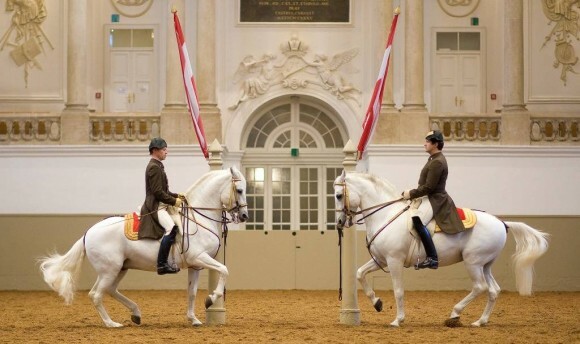 The two world wars marked the final demise of the use of horses in the military but, despite great difficulties, Austria has managed to keep alive its equestrian traditions, mainly thanks to the activity of the Spanish School. Werner Poscharnigg offers us a fascinating account of this sophisticated equestrian culture, focusing on the figure of the “thinking rider” and on an idea of horsemanship that is refined and respectful of the nature of the horse. Thank you very much Emilie! I’m very glad you liked it. Fabulous article and blog. Thank you for sharing.